St Petersburg is one of Europe's most beautiful cities. Its art collections, palaces and grand architectural set pieces are matched only by its magnificent hotels. Whether you go in winter when the snow is thick under foot, or in summer when the “white nights” offer dazzling evening skies, you’ll be beguiled. St Petersburg is a treasure trove – and not a small one. The city is the crucible of Russian culture and so well endowed with artistic and architectural treats that first-time visitors can feel daunted. Can St Petersburg be seen in a few days? 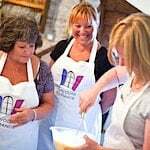 We think so – but we recommend at least some of your time is spent with one of our knowledgeable local guides. We know St Petersburg intimately. We also have the all-important contacts to get you beyond the tourist queues to experience the finest that the city has to offer. 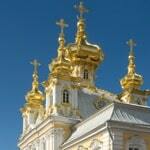 At the world-renowned Hermitage Museum in the Winter Palace, we can arrange a tour of the Gold Treasure Rooms. Our team can secure tickets to a performance at the world-famous Mariinsky Theatre and a tour of the Faberge Museum. We recommend you spend two days exploring the city, then venture out into the surrounding countryside to see the tsars’ summer palaces. 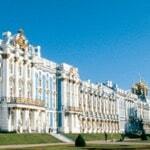 And you should not miss a VIP tour of the Amber Room Workshops at the Catherine Palace. 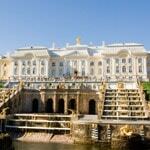 Our short breaks in St Petersburg include flights and private car airport transfers. Choose from a range of ten hotels from standard-class (a reasonable four star equivalent) to the last word in luxury, such as the famed Hotel Astoria. We can also short breaks in Moscow, another great city that delivers amazing experiences within a three or four night break. 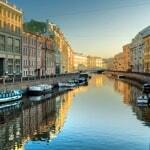 Click here for more details about St Petersburg city breaks. And see the review of Cox & Kings.